It’s the day before Mother’s Day. In France. It’s a holiday that has never had much meaning for me. In my family back in the States, we tended to relegate it to the realm of Hallmark. My Dad never mentioned doing anything special that day, favoring surprises as a rule. Schools weren’t particularly concerned with programming us to celebrate it, as they often are here. The holiday went by unnoticed, as far as I was concerned. Once I moved overseas, I started calling my mom on Mother’s Day. It must have had something to do with being far away, and perhaps also with the fact that celebrating her, and treating her to lovely, spontaneous things like a shoulder rub or a pot of tea, are much less feasible from afar. This holiday, previously devoid of meaning, now suddenly felt symbolic to me. In France, Hallmark doesn’t exist. Or if it does, the card aisle must be very well hidden, as I have never stumbled upon it. Despite protocol being quite ingrained in French people’s social behavior, cards with pre-written messages and carefully chosen images do not abound. And don’t waste your breath trying to insist that your French companion write you a birthday card every year, even if you say you’d rather have a card than a gift. I’ve tried. If there’s one thing you can count on at a French occasion, it’s the meal. It seems nothing short of insulting to imagine celebrating an important person or date without coming to the table, uncorking a bottle of wine, and sitting on your bottom for hours while your stomach expands beyond comfort. God is taboo here but food and wine are sacred. And everyone’s got his or her different idea of which food and which wine deserve to be worshipped. Me included. Anyone who knows me well is aware that for years I have been experimenting with a plethora of different diets, trying to address some health issues that I suffer from. Some are horrified and immediately let me know they could never, ever, deprive themselves of so many pleasures. Others find that this experimentation has lasted way too long and want me to return to the world of the ‘normal’. Others are as supportive and optimistic as I try to be about finally finding the key. Currently I have eliminated gluten, fruit, sugar, dairy, yeast, alcohol and even more than that, from my diet. After getting past the terror of anticipating the cravings that might torture me, then the actual panic and bumps of the initial transition, I am managing well. The best indicator of this is the enormous pleasure I still find in eating the food I eat. Which leads me to tell you about the discussion I had, the day before Mother’s Day, with my two daughters. My youngest (9) arrived in my bed after waking up, for snuggles, giggles and, as she would soon find out, instructions. Because strangely enough, for the first time in 11 years of being a mom, I had apparently decided that I wanted to be celebrated, on the day that you were supposed to do such things. Usually I’m the last person you’d find being traditional. I am just as touched by my kids’ deciding on the spur of the moment to do something sweet for me. Perhaps my desire had to do with being a recent divorcée, thus single-mom, and the need to be recognized for the extra work I do for them. Perhaps it was an ironic wink at my ex, who had recently tried to switch weekends with me by suggesting I might like to have them on Mother’s Day. This turned out to be a cover for a true need he had to be free that weekend. In any case, somehow I found myself reviewing the contents of the tray my children would prepare and bring me, in bed, the next morning. My daughter was taking notes. When my eldest (11) showed up for her share of lazy-morning cuddling time, her sister began to inform her of the plan. Big sis, however, who is currently navigating the rapids of pre-adolescence, was not biting. She found it much funnier to imagine and describe a (Mother’s) day that would be devoted entirely to them, including my taking them out to the movies, cooking their favorite meals, that sort of thing. Because “ça te fait plaisir de nous faire plaisir!” she explained with a glint in her eye (in other words : “making us happy makes you happy”). Well the message got through somehow, because my youngest daughter showed up this morning with a tray full of all of the ingredients for my current favorite breakfast. Buckwheat crêpes (which, I’ll admit, I made the day before), an avocado, half a lemon, salt, spices, fresh sprouts… and a steaming hot cup of chicory. You might wonder, how could this scheme – from cooking the day before, to giving detailed instructions, and having your children carry out a predetermined plan – constitute a satisfactory Mother’s Day celebration? And I wonder, too. But strangely, I did feel satisfied. And those minutes we spent together all cozy in my bed, me loving every bite of my little vegan feast, them keeping me company and enjoying the unusualness of it all, were lovely. I didn’t need anything more. No card, no song or dance, no flowers, no macaroni necklace. The enzymes from the chicory root were working away at the rest of my meal and I was charged and ready to hit the streets. I had decided the night before that today, instead of watching the insane lines at the bakery across the street as I had done on so many other holidays since moving to this town, and dreaming of going to talk to these devotés, taking their pictures, and taking notes on our exchanges, I was finally, actually, going to do it. I had even started preparing my questions. This being the first time I was going to interview strangers, after years of seeing myself doing it, I was having a hard time determining what I wanted to focus on with the bakery-goers. I was somewhat annoyed at some of the thoughts bubbling up, which included gratuitous societal comparisons, impertinent musings, and condescending dietary inquisitions (eg: “Do you even know what gluten intolerance is?” or “What would happen if you didn’t have fresh bread every day?”). My clipboard, as I left my house, contained a list of questions about Mother’s Day, and a table that I could use to poll people about their wheat issues, and to note the number of minutes they had spent in line to buy cakes for Mother’s Day. But as so often happens, our elaborate plans are often ditched when life steps in and decides that things will be otherwise. The usually unbelievable line outside the bakery was paltry. And somehow gluten didn’t seem so important at this precise moment. When I turned to look down the street, I saw that the hotspot of the village was elsewhere today. I headed for the florist’s, turned on my voice recorder and hoped I looked like a friendly person that a stranger wouldn’t mind talking to. At least a dozen people stood patiently in line at my local florist’s shop. 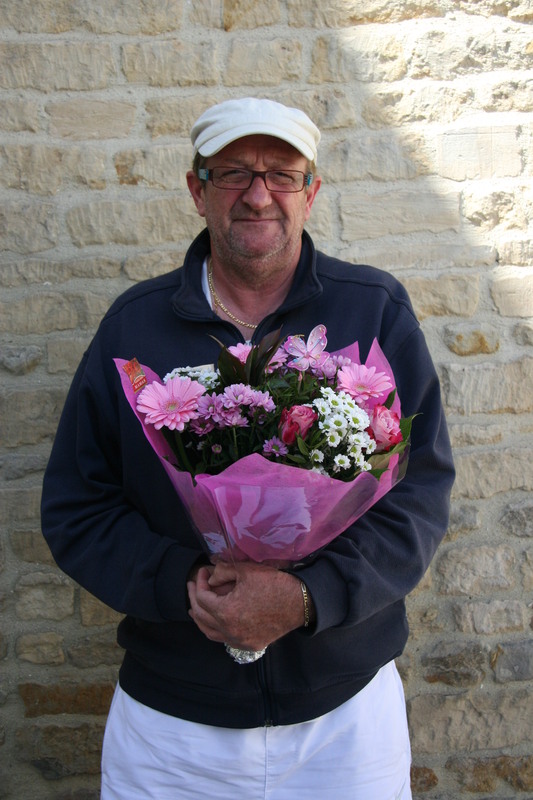 One employee was even stationed outside today, to assist the endless stream of customers with their floral needs. Yards and yards of rose bushes stretched along the left side of the shop and beyond. 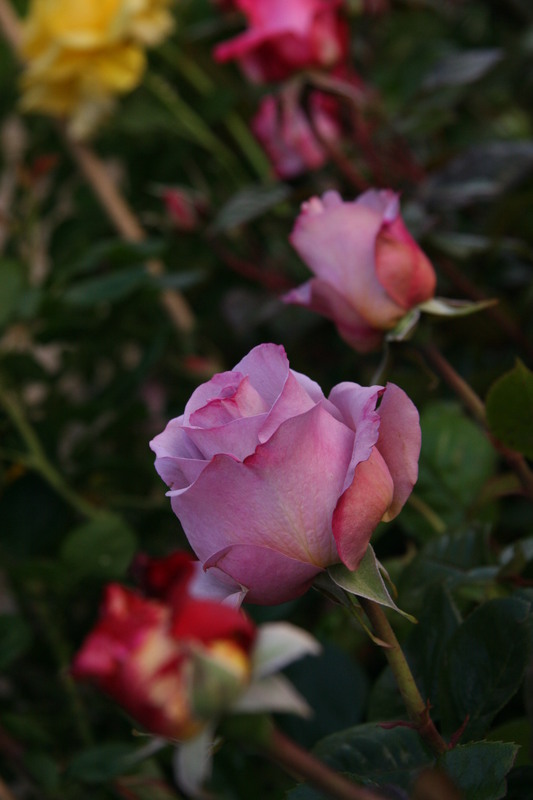 Tubs of towering, dignified cut roses waited next to less impressive, pre-arranged bouquets. 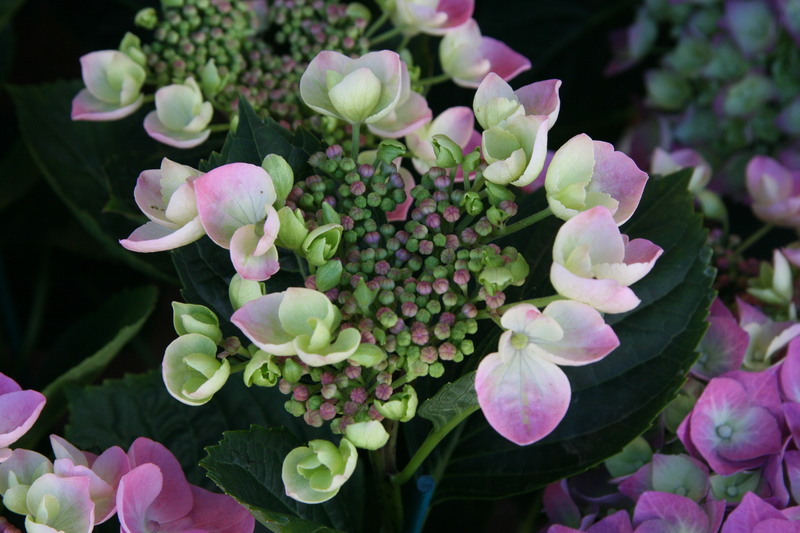 On the opposite side sat all sorts of potted plants: geraniums in crimson and candy pink, hydrangea in periwinkle and mauve, kalanchoes in primary colors, ferns and Japanese maples. They were calling out to you, just begging to become part of your yard, or living room decor. Just as I had seen so many times from my window facing the bakery, customers were lined up from the cash register, all the way through the shop and out onto the street. No one appeared to be in a terrible rush (except occasionally when they saw me smiling and walking towards them with my camera and clipboard). 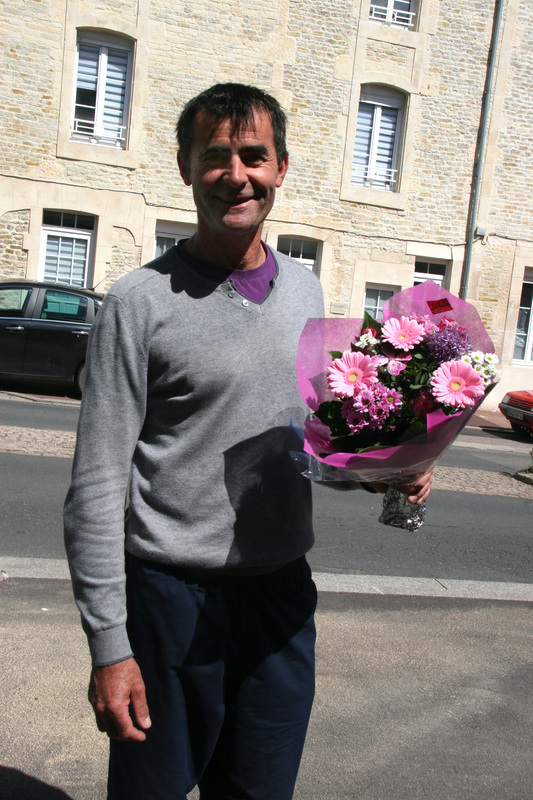 In the two hours I spent in the street speaking with people leaving the florist’s, I did not discover any transcendent truths about the French. However, I did stumble upon a few recurrent themes which I find worthy of note. Once I had determined that the flowers people were carrying were indeed for Mother’s Day, I asked about the importance this holiday has in their family. Answers varied from “not particularly important” to “important” to “extremely important.” Many people explained that in their eyes it’s a commercial holiday, but that they still celebrate it. Quite a few conceded that the “Mother” in question would certainly not appreciate it if the holiday were neglected, some adding that she would definitely be hurt. When explaining why Mother’s Day is worth celebrating, over one third of the people I spoke to used the term “marquer le coup” – which can be translated as “marking the occasion.” It’s a phrase I have heard many times but never felt impelled to consider until now. My boyfriend’s definition, translated into English is: showing the person that this day, this event, is important… making sure the day is not just any ordinary day… making it memorable. Reverso.net gives the following definitions (which I have translated): a) putting your personal touch on something; b) leaving a lasting impression. I suppose “marking the occasion” is something I already do spontaneously when planning an event for someone, in the sense that I want the day to feel special, I want the love to shine through and be felt. And also in the sense that these moments should feel out of the ordinary for the person in question. Whether or not the day will be memorable, I tend to think that’s something you can’t control. What each of us remembers is so completely different — some of us remember precisely what someone said to us on that special day… others recall in detail each part of the meal… some people’s memories are more impressionistic, a mosaic of colors, shapes, lights and shadows, a measure of music, the warmth of an embrace. So, what do the French really mean when they point to the importance of “marking the occasion?” Several possibilities come to mind: a) faire plaisir, that is, making her happy, making her feel special? b) avoiding her sulking or wrath with a well-timed bouquet or flowers? c) anything’s a good excuse to have a big meal? 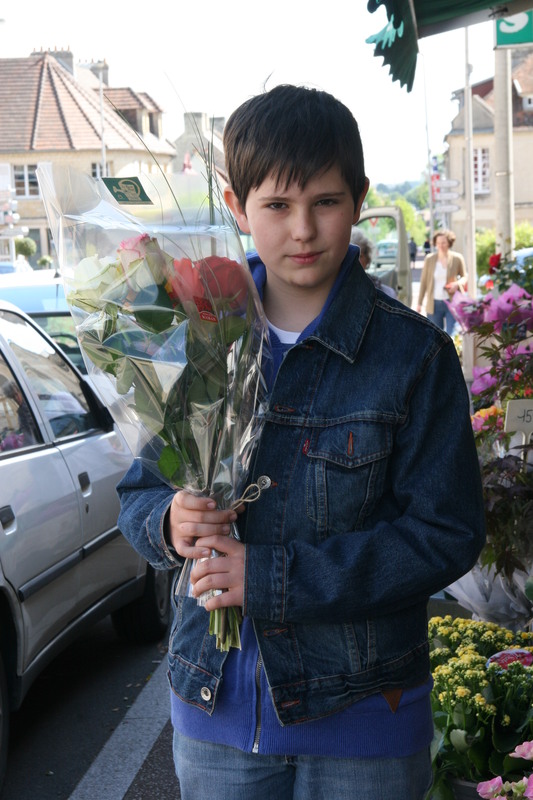 But I suspect that my young friend Etienne (10), whom I happened to bump into as he arrived at the florist’s to buy roses for his mom, is onto something. He explained that the holiday is “important for everyone – it’s traditional!” and when I asked whether Mother’s Day is a good idea in general, he said, “Let’s just say it’s symbolic.” In other words, it stands for something. There’s a whole bunch of meaning hiding behind the flowers. I think he’s got a point. 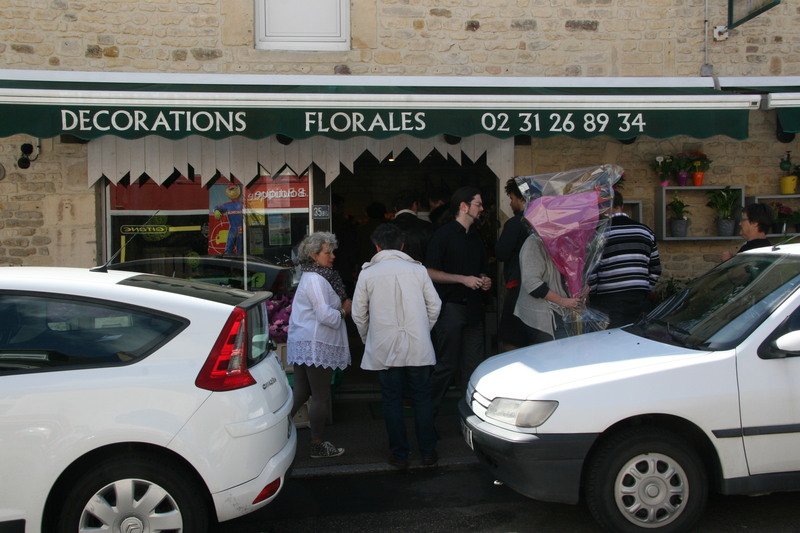 Again, it would be impossible to find valid generalizations or immutable truths about the French after two hours of interviewing people outside the florist’s. I heard people whose explanations would support each of the three possibilities above. In the States I surely would have encountered similar motives. But one thing that I was truly surprised by during the course of my conversations, was the number of people who explained that their family was getting together for Mother’s Day, but that…guess who was cooking? That’s right! Maman Chérie. Mother Darling. Listening to the recordings from that afternoon, I hear myself laughing loudly each time someone admitted that the Mother-of-Honor would be spending much of Mother’s Day (not to mention the days leading up) in the kitchen. Am I the only one who finds this notion comically ridiculous? Can her loved ones not manage to pry her away from the stove for one day out of the year? So if you have to decide between a) treating Mom to a day of rest with her feet up (or “under the table” as the French appropriately say) and eating a subpar meal prepared by amateurs or b) enjoying a gourmet meal prepared by Mother and bringing her a bouquet for the special day, I guess a lot of people go for option b). Help! I want to understand this. It feels so completely wrong. A few hypotheses have formed as I have considered this queer phenomenon.
? It’s the food cult again. Nothing is more sacred than excellent food, therefore no sacrifice is too great. Peu importe if Mom spends Mother’s Day slaving away.
? Mom doesn’t know how to share her kitchen? She’s a control freak and would rather things be done her way or not at all.
? Mom needs the recognition she has come to expect from her culinary exploits. Her fragile ego couldn’t handle one day without the praise she doesn’t get elsewhere.
? Mom isn’t comfortable being the center of attention, and would rather remain backstage, leaving the spotlight for her husband and adored offspring.
? Mom isn’t really human, she’s actually an angel, and therefore she just gives, gives, gives, never asking for anything in return.
? The rest of the family is spoiled, lazy or lacking in imagination (or all of the above). They haven’t considered that with a little urging, Mom might gladly relinquish her honorary role of Head Chef for a day. I had a very short exchange with a 30-something woman leaving the florist’s with three separate roses. “One for my mom, one for my mother-in-law, and one for myself — my son is too little to do it,” she told me. Impressed, I congratulated her on the idea of getting one for herself. Did she do other things, throughout the year, I asked, for herself, in acknowledgement of all that she gives her son? No. This rose was it. 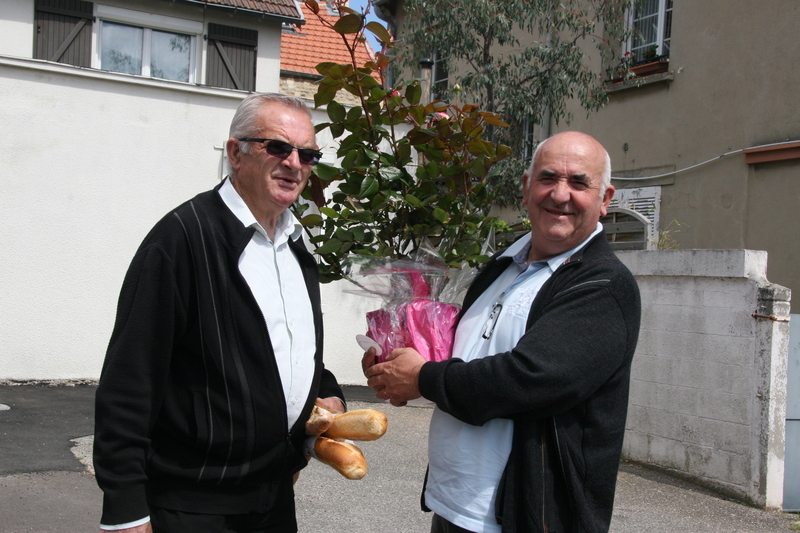 My final conversation was with a 60-something man carrying a rose-bush. He explained that this was all his wife was getting. “It’s not really her day – she’s my wife, not my mother. You see, I’m more old school.” He added that for people in his line of work, giving little gifts at unexpected moments throughout the year is not something that’s done. “I’m a farmer,” he said, as if that justified ignoring your wife. I resisted the urge to point out that my boyfriend is a farmer and delights in spontaneous manifestations of his affection throughout the long, arduous year. How did he explain this purchase, given that he wasn’t much of a present-giver, nor did he really think he should be giving gifts to his wife on Mother’s Day? “I’m thinking ahead to retirement,” he said, “We’ll plant the rosebush at our future home.” A gift for the both of them, then. Good thinking! I like to imagine that the machismo expressed is simply a cover (especially necessary when your buddy is standing right there) and that the gentleman actually gets a secret thrill when he sees a smile light up his wife’s face. This remains his secret, though. Though I can’t say I’ve necesarily cleared up any of my questions about Mother’s Day – in France or in general – I have come to the following conclusion: there are as many ways to celebrate those you love as there are people in this world. A celebration has meaning as long as the people involved bring it alive. What brings pleasure to one is surely not what will bring pleasure to another. Such occasions are personal, truly. Or should be, in any case. Because despite capitalist attempts to dictate how you celebrate a given holiday, it is the souls that are honored (present or not) and the love that is expressed, that make it meaningful. And the variations on those themes are infinite. The proof: how many other mothers do you know who would be thrilled to their core by a cup of hot chicory, a couple of avocado-and-buckwheat crêpes, and a morning out on the street, interviewing strangers? 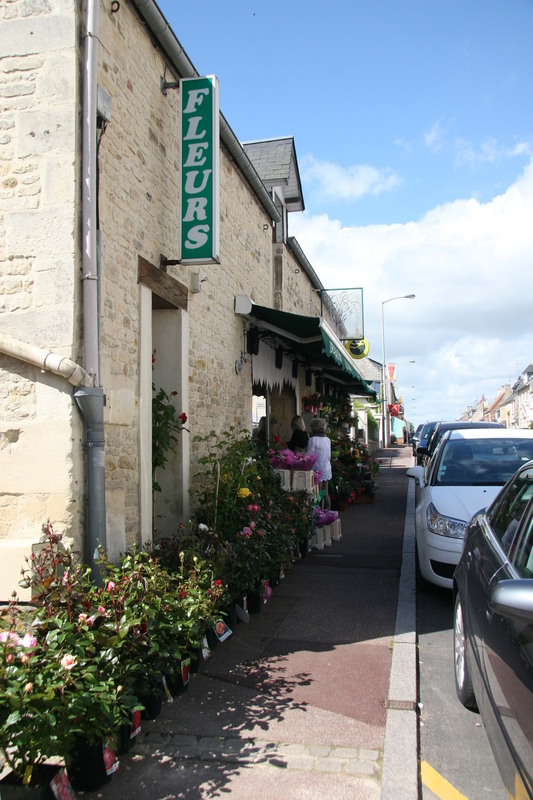 This entry was posted in CULTURE SHOCK, interviews and tagged breakfast in bed, fête des mères, flowers, france, interviews, isabel cooney, marking the occasion, marquer le coup, mother's day, usa. Bookmark the permalink. 2) Do you know about Humans of NY? You can start Humans of France (unless someone already has). 3) VOICE RECORDER?! You still do that? Ha ha!!! Friend!! I too, and after 13 years in this country, still love seeing people carry baguettes. My awesome cousin Robin told me about humans of NY. I am into it. And if you must know, I always have a voice recorder on me, at all times, in my purse!! Think of what we could have immortalized had i been in that habit back at Smith!! I also love the baguettes! And the voice recorder! This was such a delight to read. 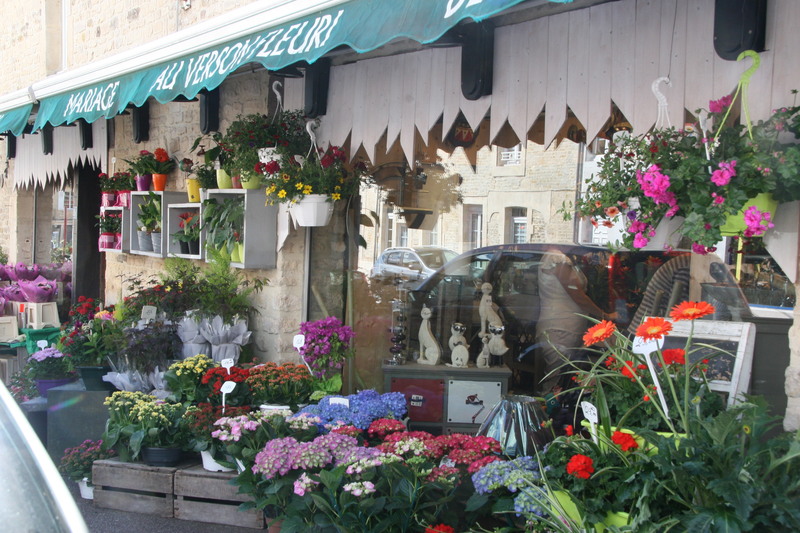 Thank you Isabel for this glimpse of your life in France and your thoughts on mothers and their families. Yay, I’m glad you enjoyed it, Fairy Godmother!! Isabel! What a lovely, thoughtful, sweet, and funny post. One more thing… The photos add so much to the story!